One quirky, moderately-intelligent kid and a backpack. Follow along and enjoy the ride. 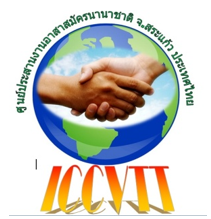 Earlier this month I finished up my month long teaching stint with International Coordination Center for Volunteer Teachers of Thailand (ICCVTT). I hope to not only share a little bit of my experiences but also give a quick run-down of the application process and what you get with ICCVTT. The first thing I want to clarify with ICCVTT is you do NOT need a Teaching English as a Foreign Language certificate (AKA TEFL) to apply. The two main components needed are a high school (or primary school) diploma and English as your primary language (and the last one can even be negotiable). No teaching experience or TEFL certificates are a commonality within ICCVTT as a lot of the schools are grateful enough just to a have a native English speaker on school grounds. ICCVTT is a volunteer program so obviously there is no pay included but there is compensation. All meals Monday-Friday are provided along with housing for the entirety of your stay at your respective school. There is an application fee of $15 and tiered payment system starting at $50 for one month of teaching and ending at no payment of three months or more teaching. The more you give, the less you pay. If you take into consideration other programs around the Thailand this is absolute steal of an opportunity. The first Google listing under “volunteer teaching in Thailand” brings about a program towards the southern part of Thailand that requires you to pay for your housing AND food. They also provide a list of places to stay ranging from $7 a night to $30 a night. I’m no math whiz but just accommodation within this program is at least $200 dollars a month. Reading over this makes me appreciate ICCVTT that much more. Aside from the accommodation and food provided ICCVTT also gives volunteers a chance to live rural Thai life. All the schools are located in the Sa Kaeo Province just a few minutes from the Thai-Cambodian Border. Not known as a tourist hotspot this is an ideal spot to teach English in Thailand. It really gives you chance to see and understand the current of everyday Thai life. Even with the three decade long tourist boom through Thailand the Sa Kaeo Province remains pure and shielded from the oh so common backpacker trail. I found this aspect of ICCVTT very appealing and made me enjoy my time teaching even more. For me in particular I could not be more grateful in my placement within ICCVTT as I was given the chance to teach at the school Jason Nontakan, the program director, started ICCVTT. The school was in a tiny village about 15-20KM outside the city of Watthana Nakorn with just under 400 people and roughly 150-200 students. With only a few places to eat and one little convenient store it was very simple way of living. This is something I was definitely in search of when looking for a volunteer opportunity in Thailand. It gave me a chance to not only created relationships with the students and teachers but with the village people as well. Next door to the school was a family run restaurant where I consumed the majority of my dinners. It was there I developed my strongest emotional attachment to anyone outside of the school. The mother, daughter and four grandkids (three of which belonged to the daughter who helped at the restaurant) stole my heart and ran with it to the highest peak imaginable. Every night I looked forward to not only the indescribably delicious Thai food but the quality time I got to spend with that wonderful family. With an obvious language barrier in place I had slightly different relationships with all of them. The mother and I had a wonderful working relationship that involved her teaching me the correct pronunciation of various Eastern Thai dishes (not to mention eating them nightly) while she would point to various ingredients in her kitchen as I spout them out in English. The daughter knew somewhat decent conversational English so speaking with her involved actual sentence structure and she became a mediator for sharing thoughts and feelings with the mother as well. She and I would also exchange lessons of teaching each other our respective languages so learning a little bit of Thai was a complete bonus. Lastly the kids and what a gem of a foursome they were. Countless hours were spent playing football (soccer) under the single spotlight around the restaurant along with hundreds of photos of them and I nestled up next to the face of my camera making the most ridiculous faces and exchanging in some outrageous poses. Without a doubt I spent more of my time hanging out and socializing with the family then actually eating. This simple yet precious relationship is just one example of what volunteering with ICCVTT can bring you. It was this exact situation that also made me teeter totter the thought that I wasn’t giving enough back to this wonderful community. Sure I donated my 15 hours a week to teaching but I walked away from that village with a full heart and so much more and to me that was definitely worth more than 15 hours in a classroom. I could go on and on with my various relationships and experiences during my month long stay (like the absolutely stunning Thai wedding Jason brought me to in my post below) but I would be sitting here at my laptop for far too long. Down below is the link to the ICCVTT website where you can check out the application and how other volunteers felt about their time volunteering in the Sa Kaeo Province along with a few pictures from my time. My final was meal next door was a grand one to say the least!